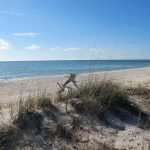 Build your dream home on this gulf front lot in Casa Del Mar subdivision in St George Plantation, the gated community on the west end of St George Island. This beautiful lot is directly on the white sand beaches of the Gulf of Mexico with a great building site. Adjacent lot is also for sale. 2238 Sailfish is the middle lot of the three vacant ones between homes. PENELOPE’S PET STOP: $395,000. Own a thriving business and live there, too! 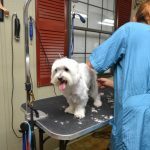 Penelope’s Pet Stop is the only grooming, boarding & daycare facility in Franklin County for your pets. Centrally located in Eastpoint, the site is over 1/3-acre, zoned Commercial-Residential. The business opened in 2004 and is a mainstay of the pet community. Offering includes business and real estate. Enjoy this brief video of sunset a the beach on a cold winter late afternoon here on St. George Island. FOR SALE: $1,750,000. 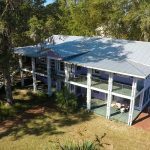 Pearl Plantation is an eclectic plantation-style home on 6-acres w/300 waterfront feet on the Apalachicola River and fantastic views. Dock, 3 boat slips including covered one w/lift, river depth ~17 ft, plus frontage on side canal. Home has hardi-board siding, metal roof, Andersen doors & double-hung windows, custom woodwork. Downstairs has an open floor plan with living, dining, kitchen, pantry, mudroom, full bath and large office area. Upstairs has sitting area, living room, guest bedroom & bath, master bedroom & bath opening to screened porch. Large porches on 2 sides. Kitchen has granite countertops, commercial gas stove, 1950s reproduction refrigerator, tin ceiling & custom cabinets. Barn with horse stalls, outbuildings, fenced areas, fruit orchard and grape arbor. 1675 Forsythia Trail. $499,000. This classic beach cottage has been renovated completely. New paint inside & out, new doors & windows w/low-E glass, new heat pump condenser-air handler-duct system, new kitchen, new baths, new wood-look laminate flooring & carpet, new fixtures, new stainless steel appliances and granite countertops. Large screened back porch expands the living area. Soft, neutral colors with a gray palette. Open floor plan, parking underneath, resurfaced driveway, outdoor shower. 1675 Forsythia Trail – $499,000. St. George Plantation. 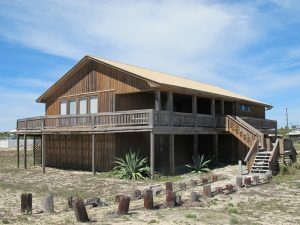 501 West Gorrie Drive, St. George Island. $599,000. 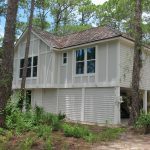 Seaside Dunes is a vintage beach home in excellent location. 1st tier with beach access across the street and terrific views protected with county-owned right-of-way. Expansive wraparound decks, covered & open. One level open layout with living-dining-kitchen combo. 3 BR/3 BA in back. Cypress siding and juniper/cypress trim throughout. New metal roof installed in 2016. New HVAC in 2016. Landscaping. Quick path to beach. Bonus space underneath home used for workshop and storage. 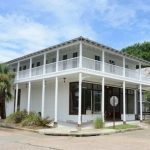 501 West Gorrie Drive, SGI. $649,000. $839,000. 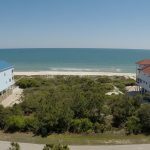 2132 Seahorse Lane, SGI. One acre, 100 beachfront feet. 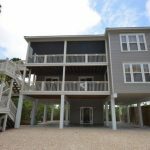 Enjoy St. George Island and the privacy of a gated community with this appealing homesite with expansive white sand beaches. Located in St George Plantation, community amenities include pool, clubhouse, tennis courts, bike paths, airstrip, 24-hr security and five miles of beaches. Architectural guidelines and environmental controls add to the beauty of this area.